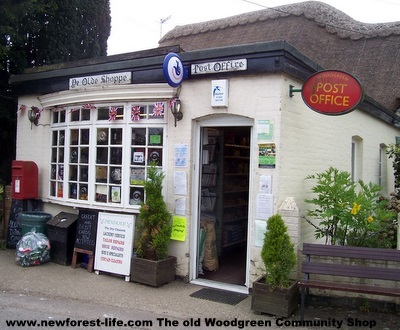 Woodgreen Community Shop and Post Office is a wonderful village enterprise which is run by the community, for the village and anyone lucky enough to shop there. We shop here regularly whether it is for New Forest local food produce, cards and gifts, postal services and even the Lottery. 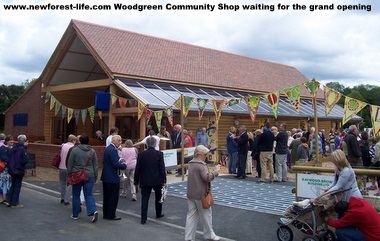 The new shop opened on Saturday 14th May 2011. It was a wonderful opening ceremony - no celebrities - just heartfelt thanks and congratulations to everyone who had worked so hard over the previous years to make this project a feasible enterprise. 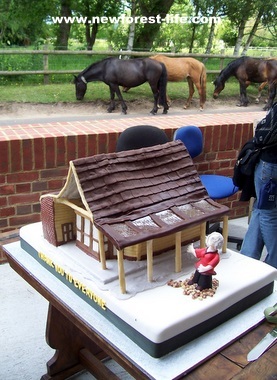 This beautiful cake (made with humour!) was on display - and then look who tried to gatecrash the party! You can always rely on a New Forest pony to find out where food is. 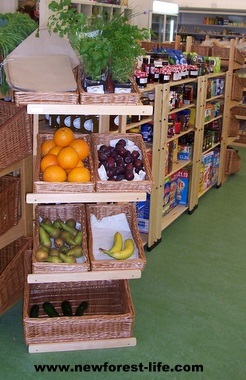 There is a marvellous range of local products for you to choose. 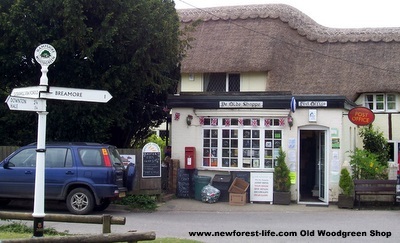 We bought smoked trout, local eggs, herbs, Ginger Wine and had some lovely New Forest Ice Cream - really delicious. A moment of nostalgia and photographic evidence that perhaps it really was time for new premises! However, now a few years later this cottage has become a beautiful addition to the village, with a lovely oak porch entrance added to the front where the old shop had once been - a huge improvement. Everyone involved in this fantastic community venture is now working flat out to meet the opening deadline. I had a peek inside today and it is going to be a really wonderful asset for the village. 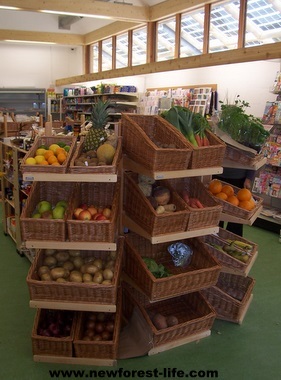 As the shop is stocked, nearer to the opening date more information will be published on all the facilities and produce on offer. Please feel free to add your updates using the form below - please add photos etc and comments you may wish to share with us all. 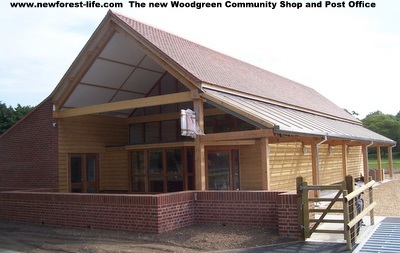 Woodgreen Community Shop and Post Office latest news and views. Why not share yours? GOOD LUCK and a happy and prosperous future to the new Woodgreen Community Shop and Post Office. I'd just like to say Thank You to all those involved in bringing this project together for all their hard work now and since the Community Shop was first set up. I've enjoyed shopping at the little old shop over the years and know that the new one will be able to offer us more choice and variety of local produce and services - right on our doorsteps!